The comedy sequel has a long, storied history, of well…being awful. If you already think sequels in general have a low batting average, just take a gander at comedy sequels in particular to find some truly putrid numbers. Airplane 2, Caddyshack 2, Fletch Lives, Blues Brothers 2000, The Hangover 2, Evan Almighty, and the perhaps hard to remember Dumb & Dumber To (released way back when) are just some of the awful sequels that have become comedic cautionary tales throughout the years. Horrible Bosses 2 will try to avoid that list, and although the trailer doesn’t give viewers a huge vote of confidence, all the key players that made the first film so entertaining have returned, with the added bonus of Chris Pine and Christoph Waltz joining the fray. Imagine for a moment the idea of a filmmaker getting an all access pass through the Disney studio and following Walt Disney himself around in the midst of the famed animator announcing his retirement and the end of an era for animation. That of course didn’t happen, but it gives you an idea into just how hugely influential filmmaker Hayao Miyazaki and Studio Ghibli are to Japan and to animation fans throughout the world. Mami Sunada directs what seems to be an intimate, insightful look into the creative genius of Miyazaki and company as they let viewers into their work process and even personal lives. It’s a must see for Studio Ghibli fans, even if there’s a bittersweet tone that may loom over the entire film. Director and star Shawn Christensen adapts this film from his Oscar winning short Curfew, which tells the story of a young drug addict, on the eve of committing suicide, who gets a phone call from his sister in sudden need of help, entrusting him to care for her sheltered but bright overachieving daughter. More than any film on this list, Before I Disappear may be the one that most accurately encapsulates all the themes that we value about Thanksgiving, including family, and loving people despite their shortcomings and history. It centers on the humorous and touching yet fractured relationship between a man and his niece, and the bond they come to share over the course of a night. So yeah, if there’s one movie that would be appropriate to watch this Holiday week, it’s the one about the suicidal drug addict. Although it would be understandable to not want to watch a terrifyingly creepy horror film this particular week, we wouldn’t be recommending it unless it was supposed to be really, really good. The Babadook, by way of Australia, is exactly that. The film’s initial response has been great, with the reviews being nothing short of spectacular and people quickly claiming this to be a horror classic. The story is familiar – a single mother caring for her son after her husband’s violent death, tries to tame her child’s fear of a monster living in the house – but the trailer is anything but. Giving us an idea of the full on terror that the Australians can conjure, The Babadook could end up being the most memorable horror film of the year. Can we just get all our films from Australia from now on? The Imitation Game comes with heavy expectation. Touted as the slight frontrunner for Best Picture at this point in the race, and winner of Toronto International Film Festival’s People Choice Award (also won by eventual Best Picture winner 12 Years A Slave last year), the film faces it’s true test now with the general public. Although all the critical acclaim and festival awards don’t hurt, the film also wants to be a hit with the movie-going audience, something that is often overlooked when giving a film momentum heading into awards season. 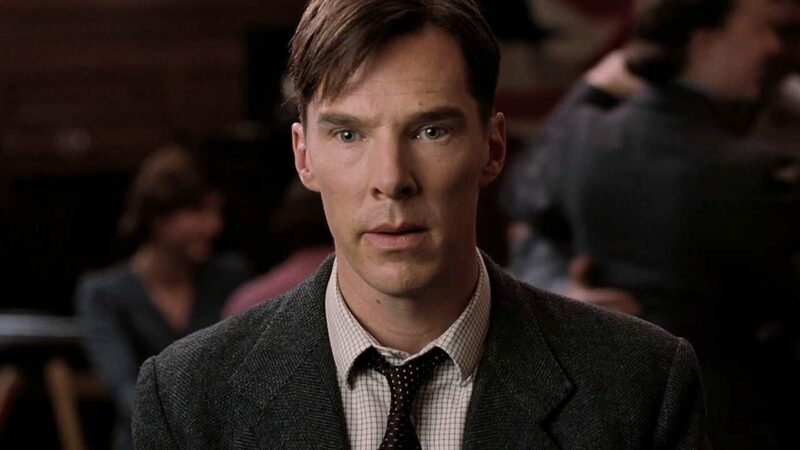 Starring the beloved Benedict Cumberbatch, it tells the story of Alan Turing, who would go on to break the Nazi’s Enigma code and ultimately help the Allies win World War II. The film also stars Keira Knightley, Mark Strong, and Matthew Goode and is directed by Morten Tyldum. If The Imitation Game goes on to have the audience response The Weinstein Company hopes for, the Oscar race could get a little clearer in the coming weeks.